The domain name is more in line with my work with the local church. I created the other page in a rather dark Heideggerian phase. Thanks to Rev. Dr. Charles Roberts of Reedy River Presbyterian Church for uploading this audio of the panel discussion from this morning (4/7/2018) at the Gordon H. Clark Philosophy Symposium. The panel consisted of myself, Dr. Bill Davis, and Dr. Bill Higgins and was moderated by Dr. John Wingard. I failed to record audio of my speech on “An Introduction to The Life and Work of Gordon H. Clark” but there was a video camera recording it. So hopefully Covenant College will post that. My copy of Anselm was in the other room. My copy of Thomas Aquinas was at work. I will update this as I read more commentaries. I will also make it a side page. Of course, I haven’t read every page of every set, so I am not giving singular judgments, but I think I can capture the overall tenor. The Macarthur Bible Commentary. I’m not a huge fan of Macarthur and you will find both strengths and weaknesses. Each commentary is a glorified word-study. Still, the sections are well-divided. Calvin’s Commentaries. Harmonizes the Pentateuch, which is a huge weakness. Still, Calvin paid attention to the original languages and his arguments, even where I think he is wrong, are always thoughtful. I think his sermons are better. Bede. Homilies on Genesis 1-3. Ancient Christian Texts. Great for historical value, but no exegesis. Hamilton, Victor. New International Commentary on Genesis. Eerdmans. 2 volumes. Good overall commentary. Gently pushes back against Wellhausen. North, Gary. Genesis: The Dominion Covenant. Zero exegesis but excellent suggestions on apologetics. Leithart, Peter. A Son to Me. Canon Press. 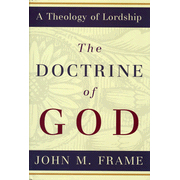 Very good treatment on background and biblical theology. Light on exegesis. Leithart, Peter. 1 and 2 Kings. Brazos Theological Commentaries. Similar to his work on Samuel. Good for pastoral application but needs to be supplemented. Vanderwaal, Cornelis. Job – Song of Solomon. More of a survey than a commentary but excellent nonetheless. Brueggeman, Walter. A Commentary on Jeremiah: Homecoming and Exile. While I have problems with Brueggemann, he does a fine job in handling the textual issues. Klein. Zechariah. New American Commentary. Good treatment on background and good exegesis. Takes a gently premillennial approach to chapter 14. Horne, Mark. The Victory According to Mark. Canon Press. Excellent treatment on typology and biblical theology. Not as heavy on exegesis. Bruce, F. F. New International Commentary on Acts. Eerdmans. A true classic. Somewhat dry reading but I can’t think of a better commentary at the moment. Keener’s will eclipse it in time. Moo, Douglas. New International Commentary on Romans. Replaced Murray. Deals with the earlier treatments of the New Perspective on Paul. Somewhat unique take on Romans 7, but otherwise outstanding. Murray, John. New International Commentary on Romans. The 20th century classic. While it has been surpassed by Moo, it still should be consulted. Wright, N. T. Romans. New Interpreter’s Bible. Marvelously well-written. Somewhat hamstrung by his so-called New Perspective. George, Timothy. Galatians. NAC. Sound Reformational approach. Worth looking into but nothing earthshaking. Silva, Moises. Interpreting Galatians. Not strictly a commentary, but an excellent guidebook on some of the exegetical difficulties. Barclay, William. Revelation. Well-written and Barclay’s unbelieving presuppositions don’t play too big a role. Good on history but fairly weak beyond that. Beale, Gregory. Revelation. I haven’t read it, but by all accounts the best commentary on Revelation. Caird, G. B. Romans. International Critical Commentary. Caird was the archetypal British scholar. Very strong in argument but fairly limited and dated at points. Keck, Leander (ed). Hebrews-Revelation New Interpreter’s Bible. I don’t know if Keck was the actual contributor to Revelation. The book wasn’t any good. Had a bizarre fixation with William Blake. Get Beale or Mounce instead. Keener, Craig. Revelation. Life Application Commentary. Very good on background issues. Sound treatment of the text. Takes a mild historic premil approach. Some odd suggestions on applications. Sure. some of these are forced,b ut I remember when I first read them in seminary in 2006. I will present here a list of triads that have sometimes been thought to reflect or illumine the Trinity in some way. I will offer a few comments, but normally will present them without comment. I have tried to weed out those that seem to me to be obviously arbitrary, contrived, or uninteresting, but readers should not assume my evaluation of any of these. I do not place any theological weight on these examples—nor do I urge readers to do so. All I would claim is that these triads are of some interest and that they may in some measure reflect, illumine, or provide for the evidence of the Trinity on any of these triads (except for the first one).